14 January 2019 – International animal welfare organisation FOUR PAWS will take custody of two bears from Albania, who are in urgent need of a new home. The bears are currently living in deplorable conditions in a private mini zoo, which is part of a restaurant in the Albanian city of Shkoder. At present, FOUR PAWS is evaluating whether the animals will be brought to a European FOUR PAWS-owned or cooperating bear sanctuary that will also provide the bears with a species-appropriate environment. The long-term goal of the animal welfare organisation is to end cruel bear farming across Europe for good. Due to increased criticism from guests and tourists about the inappropriate keeping of the animals, their owner has fortunately decided to close the mini zoo. In November 2018, FOUR PAWS was notified and agreed to take custody of both bears. FOUR PAWS will now determine which of its own or cooperatively-run bear sanctuaries would be suitable for the animals. Many bears in Europe spend their lives in agonising surroundings, kept in tiny cages near restaurants or hotels, where they are exhibited as tourist attractions. The cramped, inappropriate living conditions are very stressful for the animals both physically and mentally. Many of them are in poor general condition. FOUR PAWS intends to put an end to the cruel keeping of bears in Albania as part of its “Saddest Bears” campaign. In March 2016, FOUR PAWS signed a Memorandum of Understanding with the Albanian Ministry of Environment with the aim of jointly finding a sustainable and animal-friendly solution for the many Albanian bears living in catastrophic conditions. Since then, in cooperation with the Albanian authorities and other animal welfare organisations, more than 26 bears have been rescued and transferred to foreign wildlife sanctuaries. 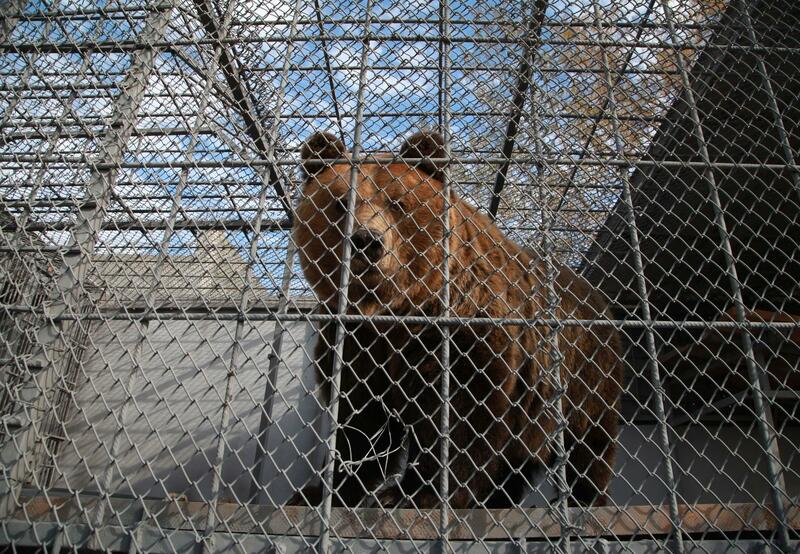 Six of these bears now live in the FOUR PAWS bear sanctuaries in Kosovo, Germany and Bulgaria.